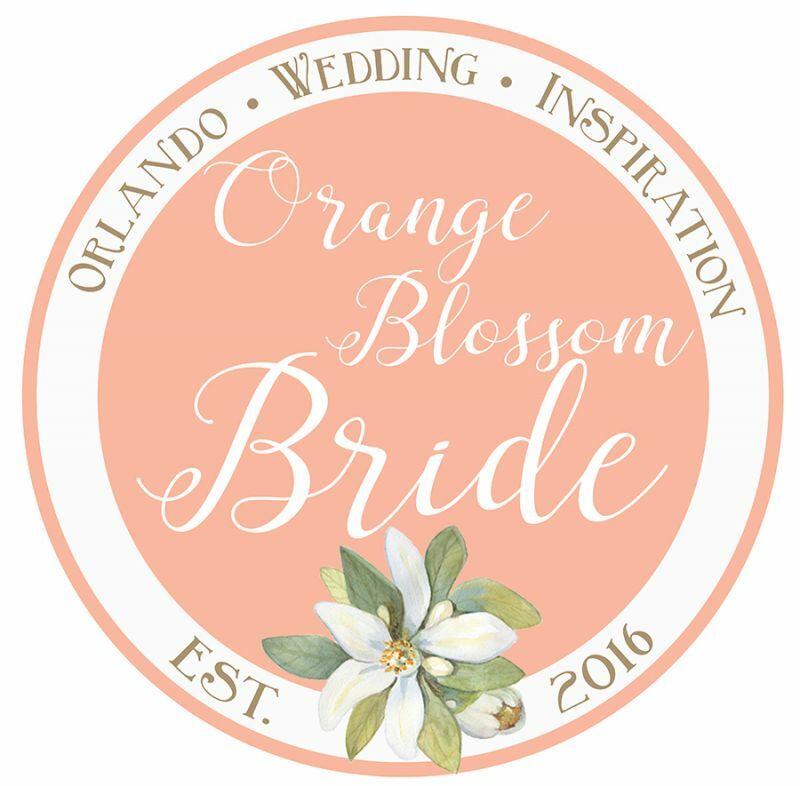 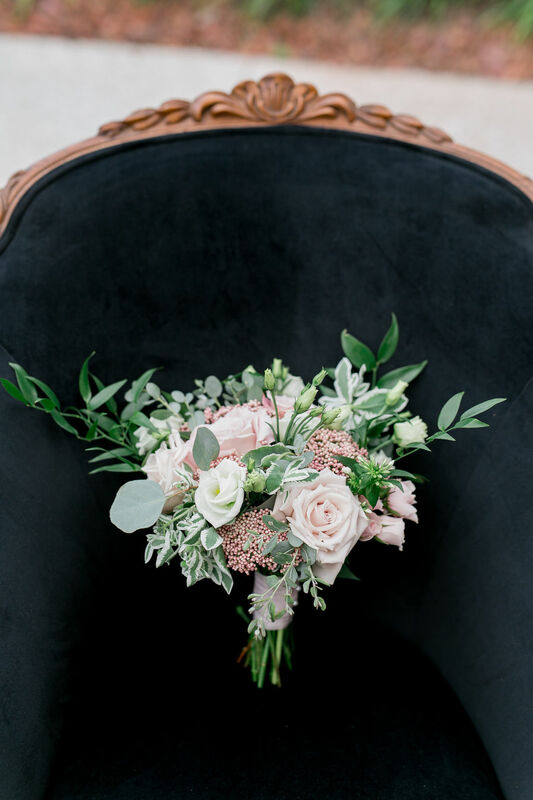 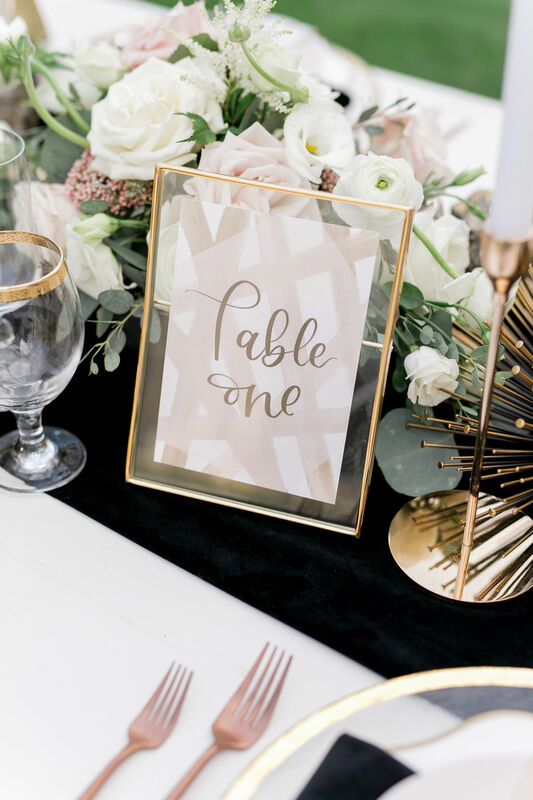 It's just about time to ring in the new year, and we've got the perfect wedding inspiration to fit the mood! 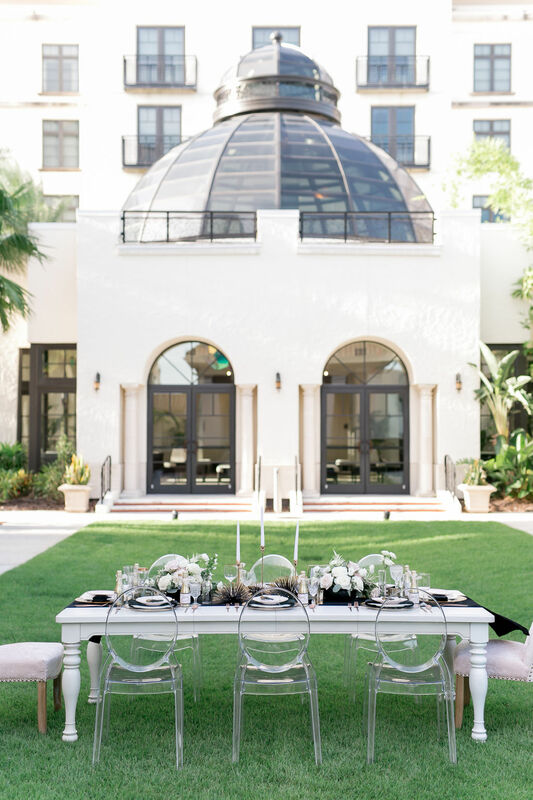 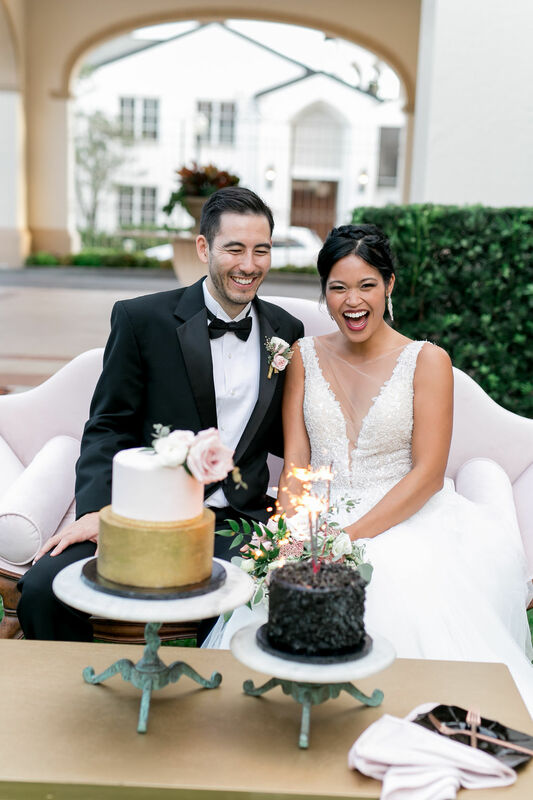 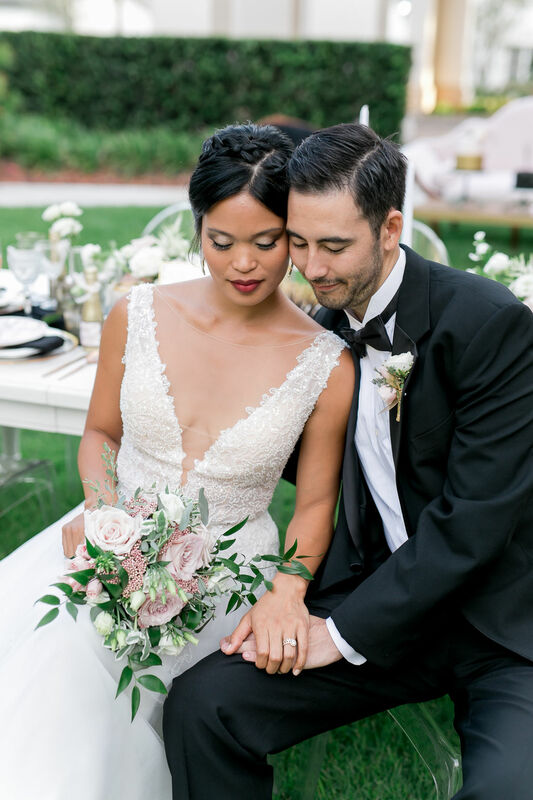 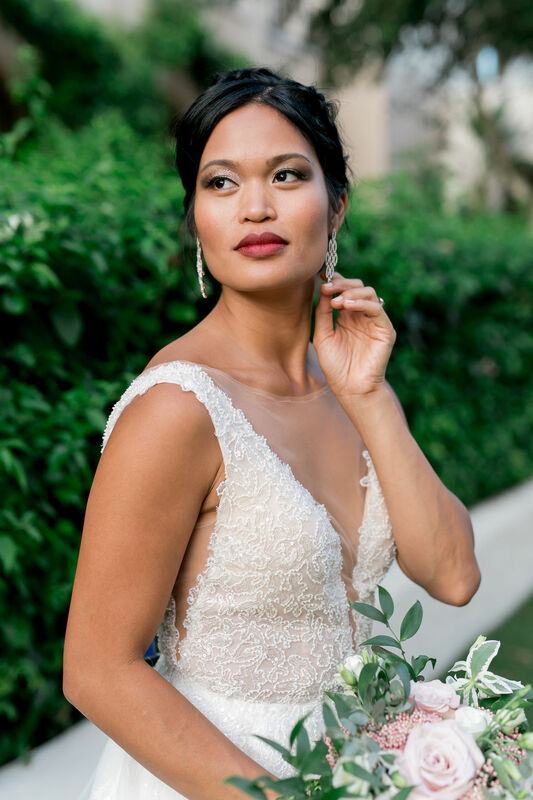 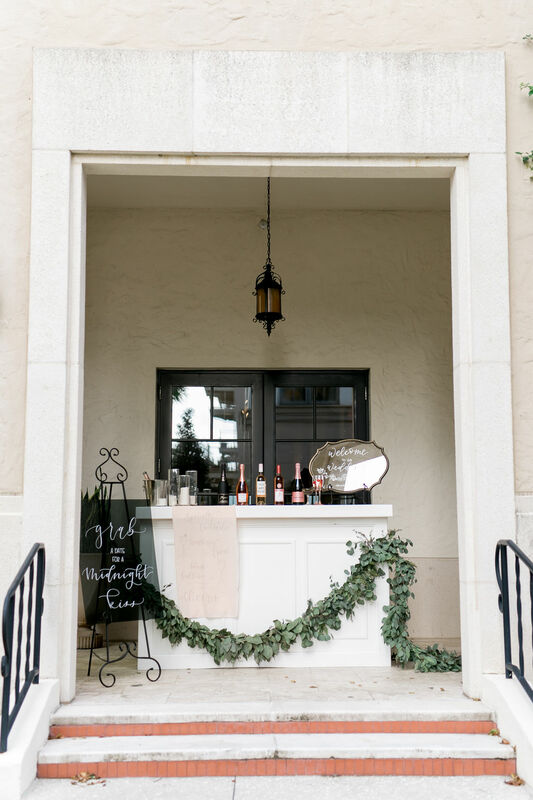 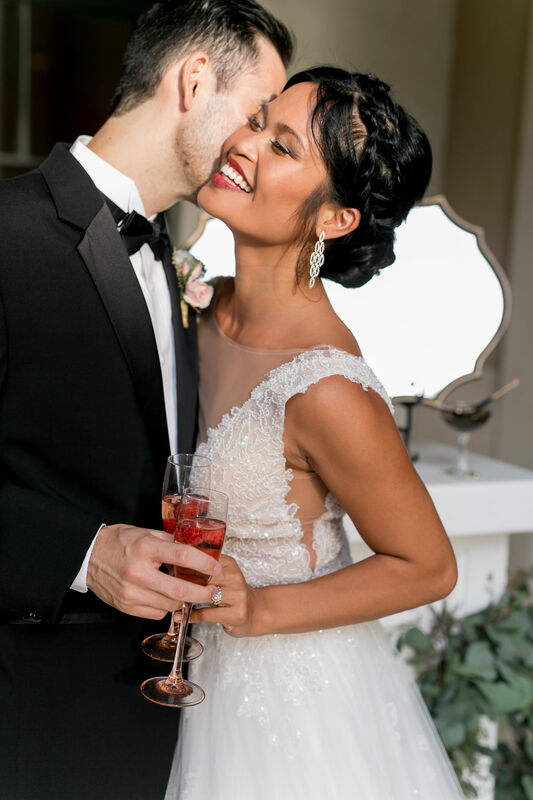 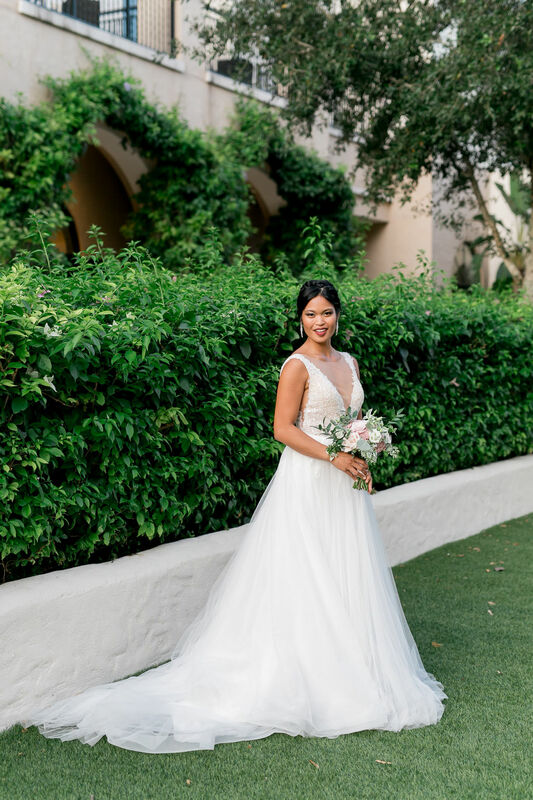 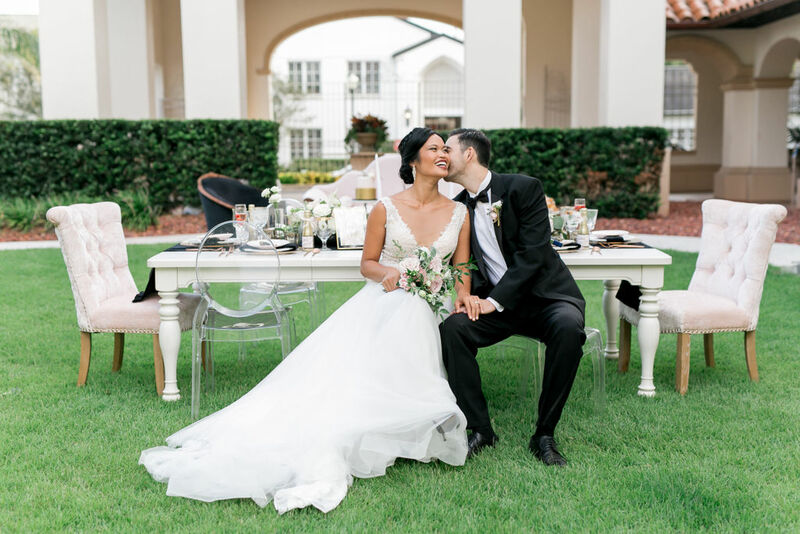 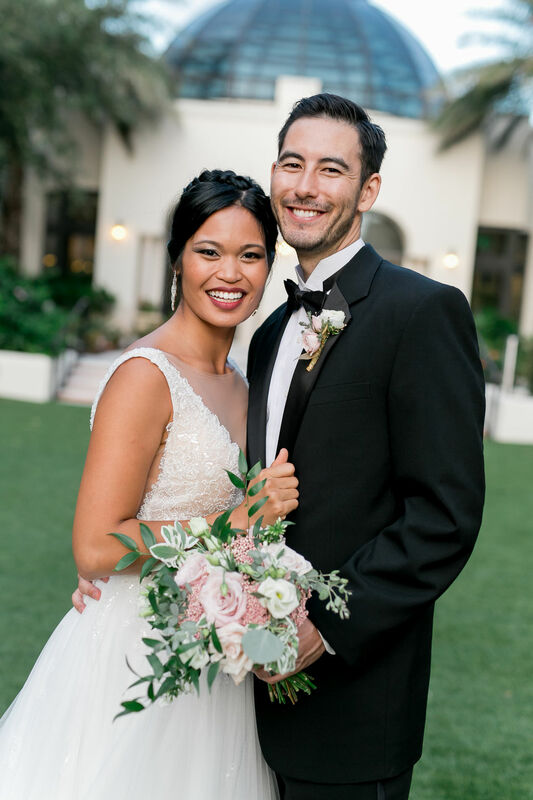 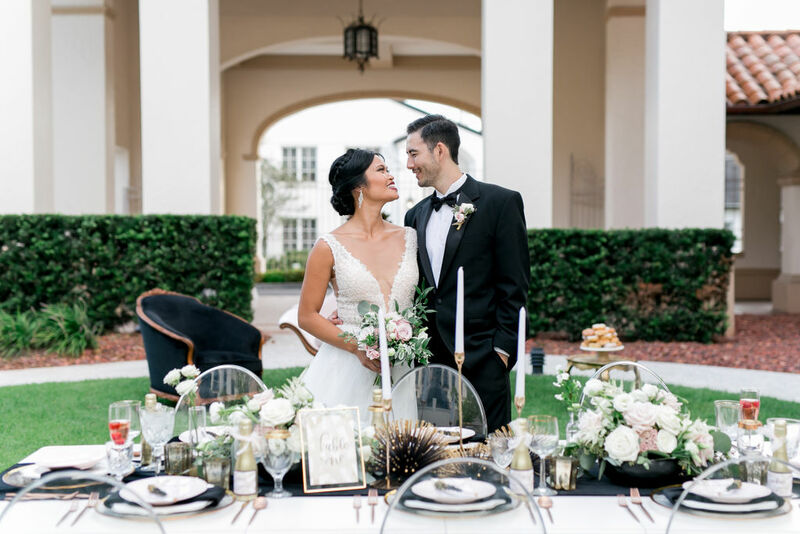 This New Year's Eve themed styled shoot at the Alfond Inn was modern and sophisticated with just the right amount of glitter. 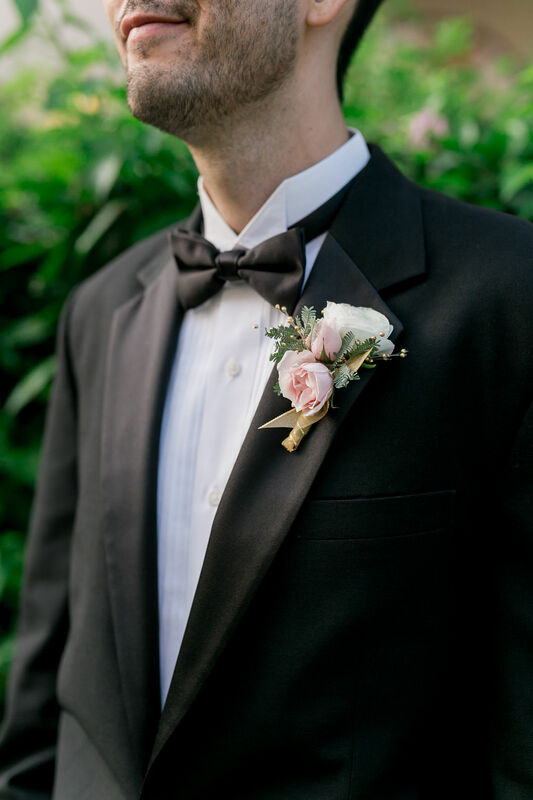 The model groom was dressed in a classic black tux, while the bride dazzled in a beaded gown and an updo. 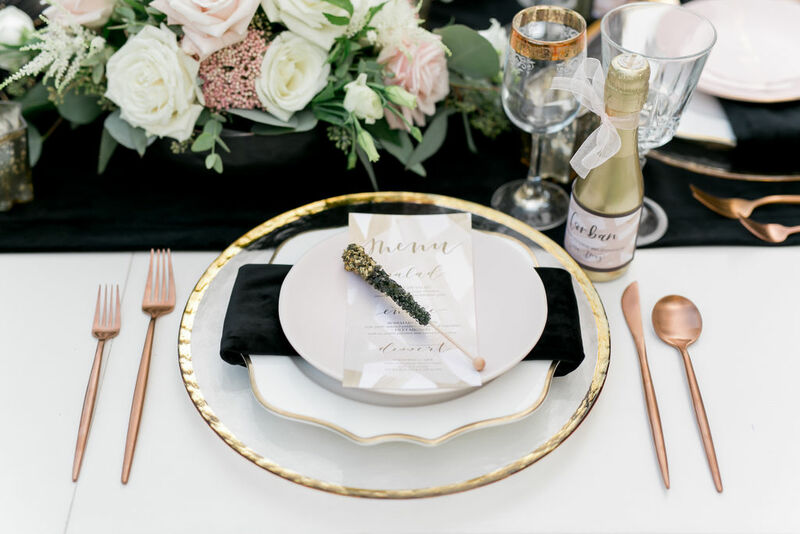 Champagne flutes and gold and black accents set the stage for a wedding countdown 'til midnight. 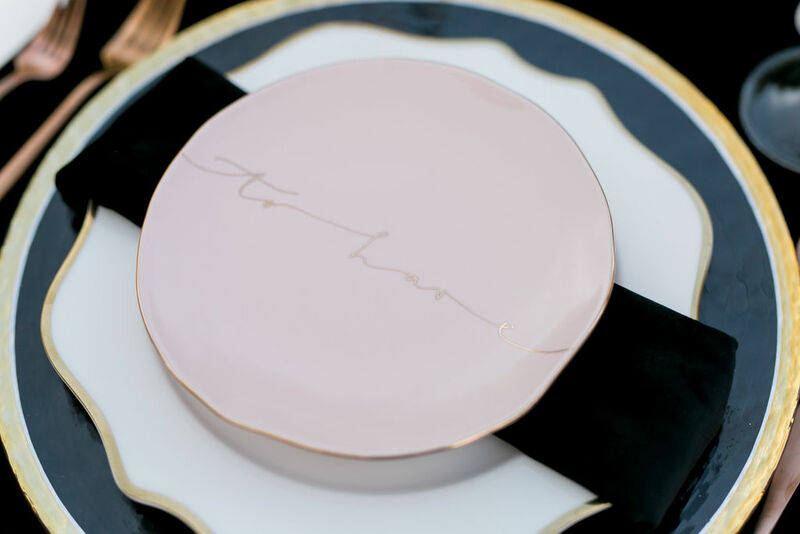 We love the black rock candy that sat at each place setting and doubled as a drink stirrer! 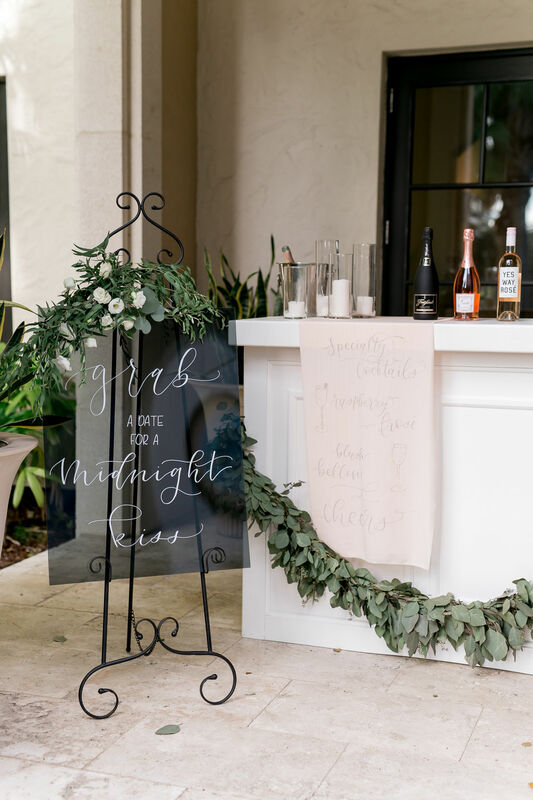 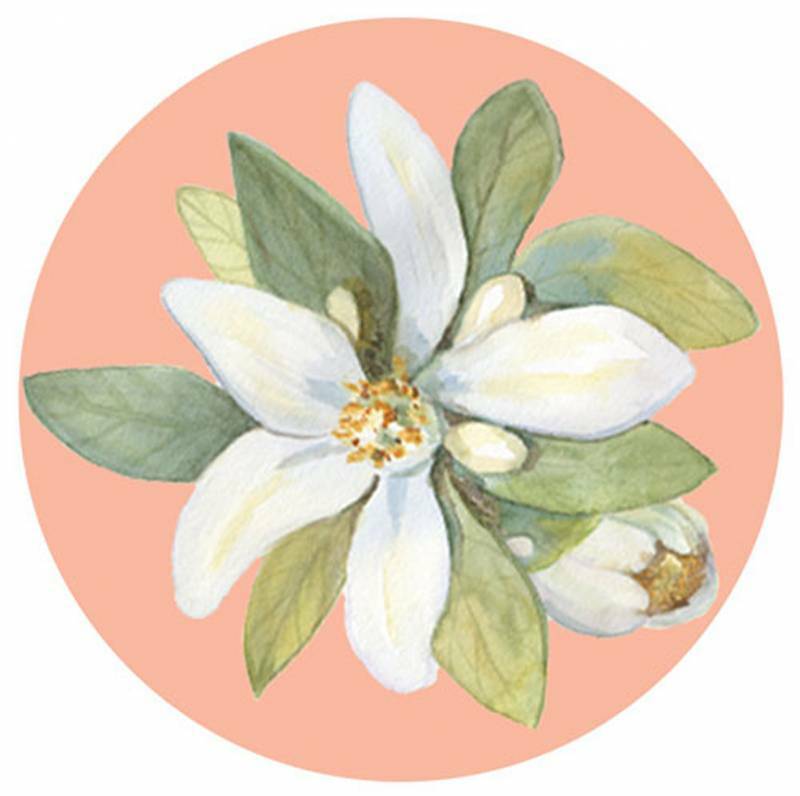 Pale roses popped against a black table runner, and signs written in calligraphy framed the bar. 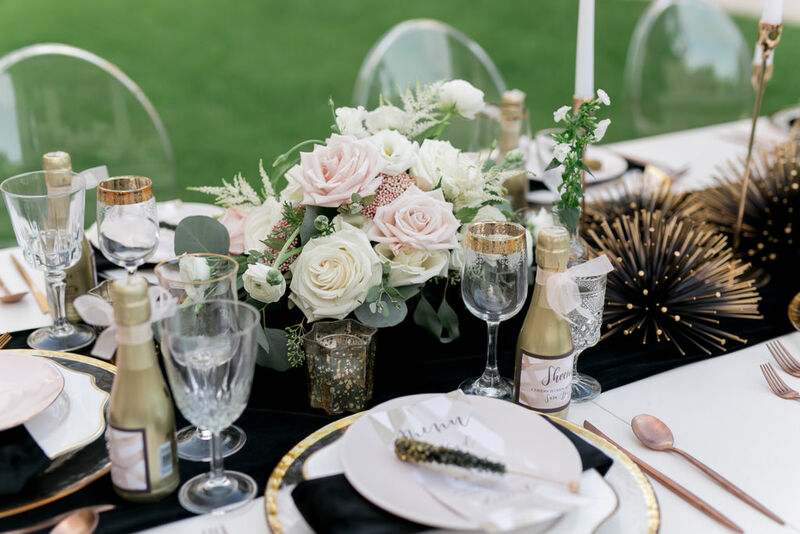 Mini champagne bottles acted as place cards, leading each guest to their seat. 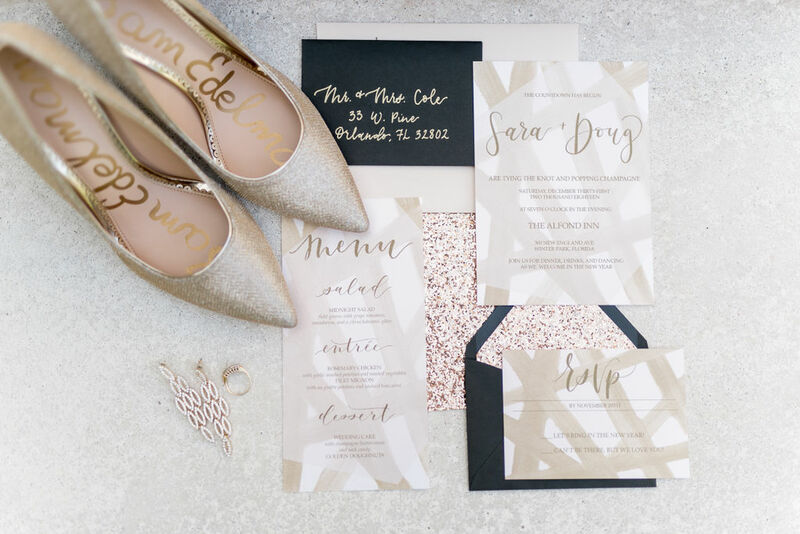 What a great party favor idea for New Year's Eve! 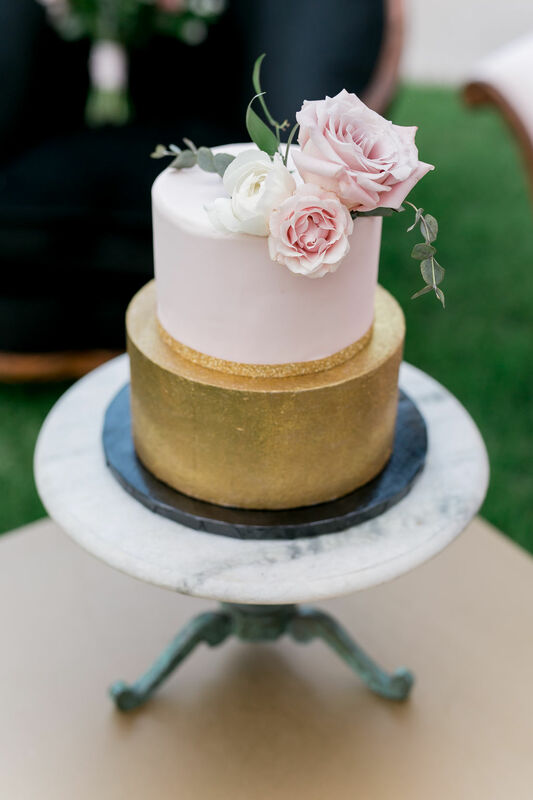 The perfect final detail was a sparkler atop the cake for just a little bit more "party" than a traditional cake topper. 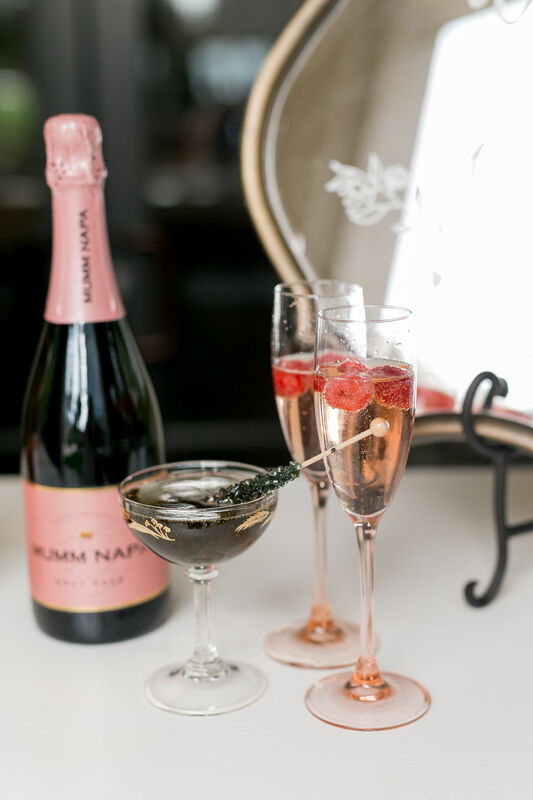 Now who's ready for some fireworks?